After high waters washed out a culvert and a road upstream, Chimacum Creek was filled with so much sediment that summer chum were completely wiped out. Three decades on, the salmon are coming back. Great Blue Heron. Photo by Stephen Cunliffe. On the leafy five-acre Illahee Preserve near Kala Point, Chimacum Creek meanders through mature stands of second-growth western redcedar, western hemlock, bigleaf maple, Douglas fir and grand fir. Forested slopes drop large woody debris into the creek, accumulating spawning gravel and creating pools and eddies, while abundant seeps and springs around the Preserve help the waters run cold and clear. A level acre on the upper western side of the Preserve has a grassy open area with a picnic shelter and a shed, and pathways provide pedestrian access to the creek. This short but mighty stretch of Chimacum Creek (about 580 feet of it) supports spawning summer chum, coho and steelhead salmon, as well as cutthroat and pink salmon that pass through. Neighbors along Creekview Lane report regular bobcat sightings, and Columbia black-tailed deer and coyote also use the creek corridor, with a number of wildlife trails crossing the eastern side of the Preserve. 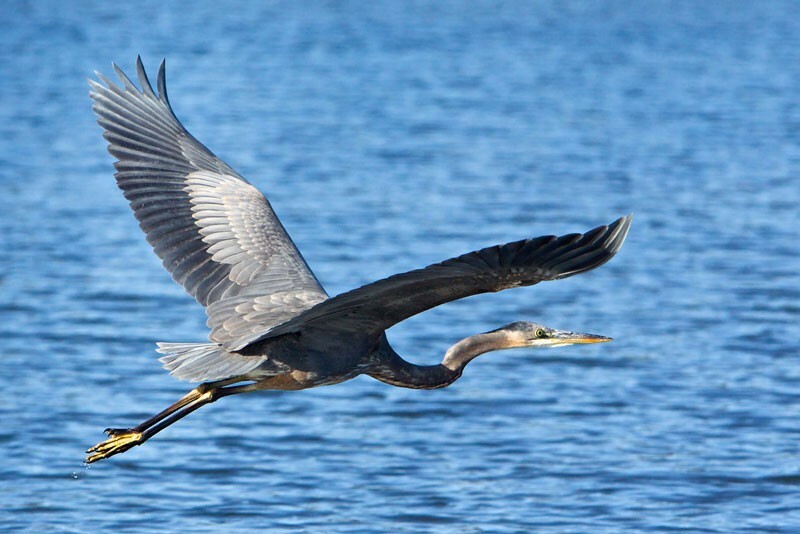 The area is home and breeding ground for many native and migratory bird species as well, including great blue heron, bald eagle, osprey, belted kingfisher and common merganser. The diversity of this area has been hard won. 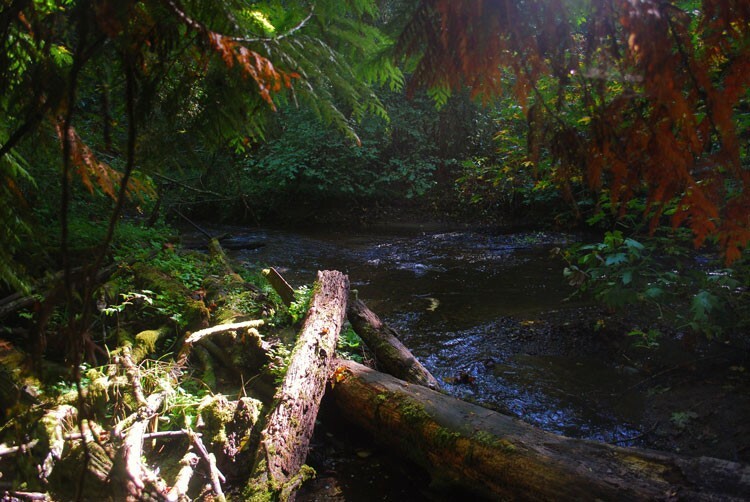 Back in the late 1980s, while summer chum were spawning in lower Chimacum Creek, a big storm washed out the Irondale Road culvert and a logging road upstream, pushing so much sediment, dirt and gravel into the water that it buried the salmon spawning grounds. This wiped out the last of the Creek’s summer chum, which were already in serious decline. This kicked off a decades-long, community-wide restoration effort led by Wild Olympic Salmon, which later merged with the North Olympic Salmon Coalition. Local volunteers worked along lower Chimacum Creek to improve habitat, remove invasive plant, and release new stocks of summer chum. 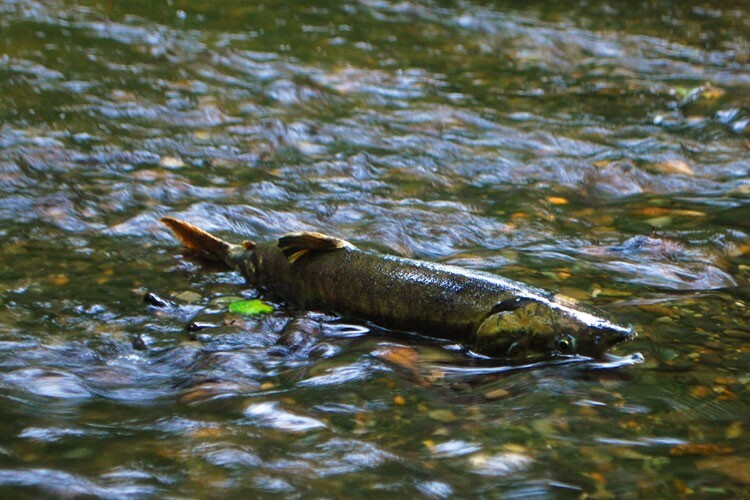 By 2013, more than 2,000 salmon had returned to the Creek. Meanwhile, Jefferson Land Trust was working to fill a gap in the corridor of protected properties along lower Chimacum Creek. After two years of negotiation and securing a combination of state and county grant funding, we purchased this five-acre property from the Carleson family in 2012. Adjoining properties are protected through ownership by the Washington Department of Fish and Wildlife and Jefferson County. Today, mature trees along both banks of the creek provide shelter and shade for critical salmon habitat. We have built a trail leading to the creek where visitors can watch the awe-inspiring annual return of these salmon. We also conduct educational and outreach activities with the community and local schools. 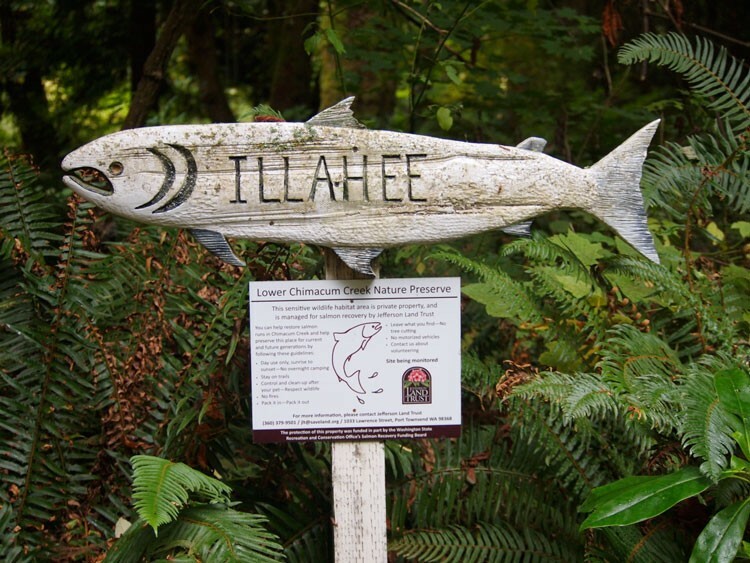 Illahee Preserve features a native plant garden planted by volunteers and an outdoor classroom for Chimacum and Port Townsend school kids and education groups like CedarRoot Folk School. 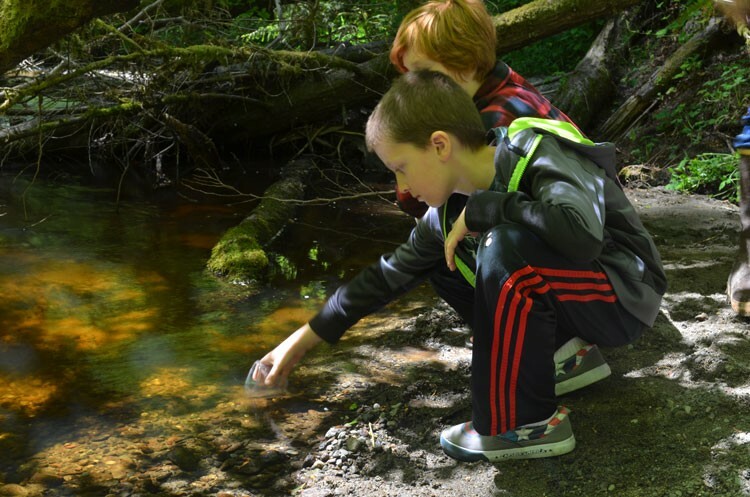 Students have been removing invasive canary grass, planting trees and testing and monitoring water quality to ensure spawning salmon can continue to return on their own. We are excited to be working with our local schools and nurturing the next generation of local land stewards!